From Goodreads.com: On Halloween night five years ago, Chelsea Dutton’s college roommates were viciously stabbed to death, and Chelsea was critically injured. She was found hiding in her apartment’s bathtub, barely clinging to life. WOW. This was my first time reading anything from this author, but after the gripping, edge of your seat ride that was Disturbed, I do believe I have found a new must read author! Obviously, I can't go into too much detail as I don't want to spoil it for anyone who hasn't gotten the chance to read this yet, but what I will say is that there were times when I thought for sure I knew what was going to happen, only to be more then pleasantly surprised to find out I was wrong. This story went places I didn't think it was going to, and the ending completely blew me away. This was definitely not a spin I have seen done in other stories before, and the uniqueness of it puts this story far above others I have read in this genre. 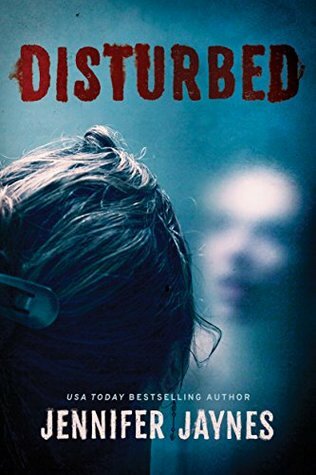 Disturbed is a brilliantly written story that will keep you on the edge of your seat until the explosive climax that will leave you in awe. Overall, I am sure this story will definitely appeal to those who enjoy a well written thriller novel that will keep you guessing!